A construction crew uncovered an abandoned tunnel in Texas, just north of the border with Mexico. 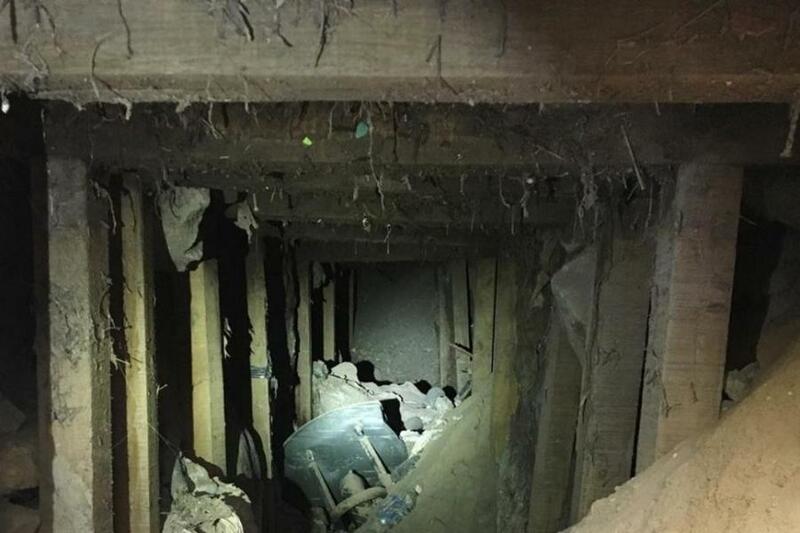 EL PASO, Texas (AP) The United States Border Patrol said a road construction crew has uncovered an abandoned tunnel in Texas, just north of the border with Mexico. Agent Oscar Cervantes said the tunnel was discovered on Jan. 25 near downtown El Paso. It is about 25 yards (23 m) long. Cervantes said there's no indication the tunnel goes into Mexico. The Border Patrol said in a statement that the Texas Department of Transportation reached out after a cave-in during construction of a road. The mishap led to the discovery of the tunnel that originates north of the international border. Authorities don't know the purpose of the tunnel.